A little thought and preparation are in order before hopping on a plane to Sweden. 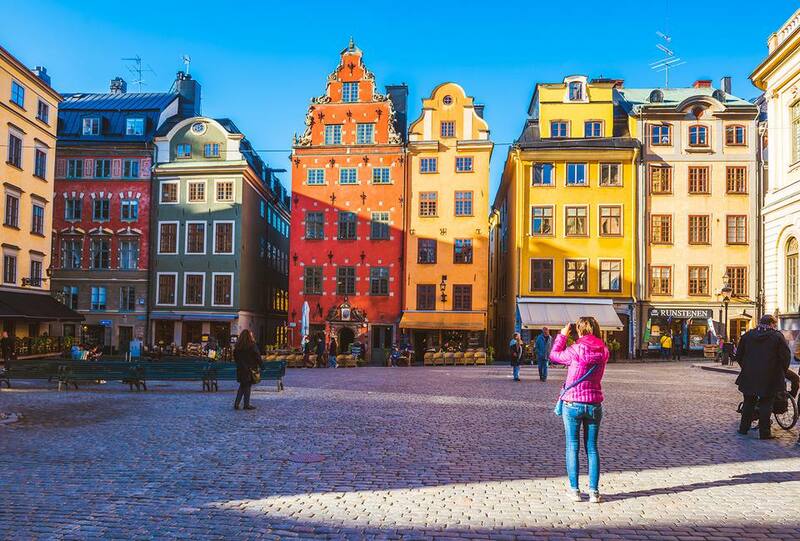 Depending on the time of year and the areas of the country included on the itinerary, the clothing needed for your trip to Sweden will differ drastically. Swedes typically dress informally but fashionably. Men need a jacket and tie for business meetings and fine dining. Dresses and trouser suits are appropriate business and fine dining options for women. Swedes prefer clothing made from natural fibers like wool, linen, cotton, and silk. Wear smart casual clothing in natural colors. If you are planning a stop in one of Sweden's many churches, such as Riddarholm, avoid clothing that exposes a lot of skin or may be considered inappropriate. Examples include short shorts and mini skirts, tank tops, low-cut blouses, clothing with holes (designed as such or otherwise), and certain clothing with printed text. One might assume that Sweden would be cool to cold most of the year based on its northern latitude. However, Sweden has four discrete seasons and a temperate climate. Temperatures in the summer typically range from 68 to 77 degrees. Pack (or buy) a small umbrella, a waterproof raincoat, and waterproof boots because it rains a lot. Stockholm, the capital, receives 22 inches of rain each year. A few pairs of jeans are a must. Be sure to have a couple light sweaters, sweatshirts, or jackets. There is a famous boat tour, and a windbreaker or other top layer means a comfortable boat ride should it be windy. Also, make sure to include appropriate swimming attire. The small island Långholmen is a very popular swimming spot. Thanks to the North Atlantic drift, the water here is much warmer than expected. For sightseeing, bring a good pair of walking/running shoes for men and walking/running shoes, flat shoes or low-heeled shoes for women. Avoid shoes that are tight or that pinch. The buzzword for knowing what to wear in Sweden during the winter is layering. This is simple. Layering allows the individual to adjust his or her attire quickly to maintain a comfortable temperature should the weather or activity level change during one's outing. There are essentially three levels of clothing needed. The base layer of clothing is in contact with the skin. The mid-layer of clothing functions as insulation from the cold. The top layer, or outer shell, should stop rain, snow, and wind. As in the summer, a few pairs of jeans are a must. Long Johns or thermal underwear are other names for this clothing. This level of clothing is most important when braving the Swedish winter. Long sleeved tops and waist to ankle bottoms are essential. Materials that absorb and hold sweat like cotton will chill the wearer and are not ideal choices. Instead, pack silk or merino wool. The mid-layer functions like home insulation. These clothes should protect from the cold by holding body heat. Examples of this include woolen sweaters, fleece, and heavy cotton. Jeans, corduroy trousers, and ski pants are appropriate bottom gear. Waterproof shoes and waterproof boots are a must. Pack several pairs of woolen socks. Depending on the activity and location within the country, two layers of socks might be required for optimal comfort. This layer functions as a shield against the winter elements. Effective outerwear will protect from snow, strong winds, and rain. Some examples include windproof fleece, mountaineering jackets, and ski jackets. Along with these ideas, be sure to pack warm gloves, a hat, and a couple of warm scarves. Pack shoes with water-resistant soles and fur lining. If hitting the slopes, be sure to bring a phone bungee to remove all worry of losing the phone while having fun. The Kingdom of Sweden is a beautiful Scandinavian country. With its captivating cities and breath-taking landscapes, it is no wonder why so many vacationers choose it.